Leaders from politics, business, finance and civil society, gathered in New York city on September 26th for the second edition of the One Planet Summit to demonstrate progress on commitments taken in December 2017 and further engage public and private actors on climate action. On this occasion, new announcements aiming at strengthening climate commitments, mobilizing the financial sector and delivering concrete actions to accelerate the implementation of the Paris Climate Agreement were made. H.E.M Olusegun Obasanjo, Former President of the Republic of Nigeria and Patron of the AfroChampions Inititative announced the creation of an international coalition of public and private stakeholders to fast-track sub-national sustainable infrastructure on the African Continent through the Sub national Climate Fund Africa (SnCF Africa). Over the next 4 years, SnCF Africa will first commit up to USD 350 million, mobilizing private co-investment to reach up to a total of USD 1.4 billion, in partnership with private investors from the AfroChampions Initiative, African Sovereign Wealth Funds and Afreximbank. 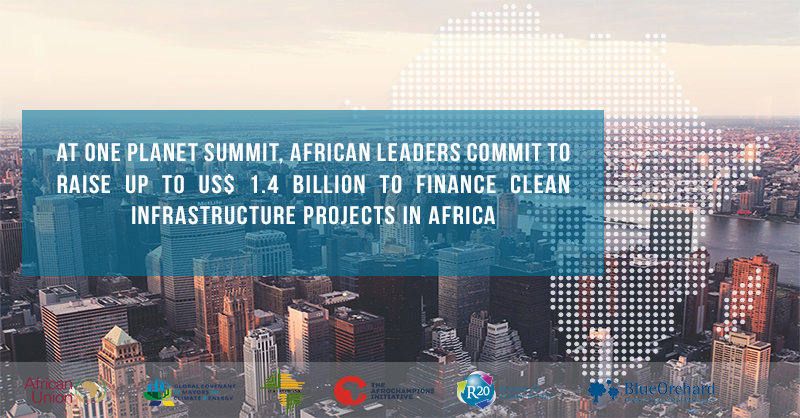 This major step forward in climate finance, implemented by R20 and BlueOrchard Finance, with support from the European Union and the Global Covenant of Mayors (GCOM), is expected to further innovative clean tech and low- carbon projects in Africa while providing this rapidly urbanizing continent with an ambitious roadmap to cleaner growth. As an important first step, Mr. Samba Bathily, Founder of Solektra International, speaking on behalf of Afrochampions companies announced a first commitment of USD 10 million, to which his own company commits the first US$5 million. Co-hosted by Elysée, the United Nations, the World Bank and Bloomberg Philanthropies, this year’s One Planet Summit follows the 2017 One Planet Summit in Paris and the 2018 Global Climate Action Summit in San Francisco. 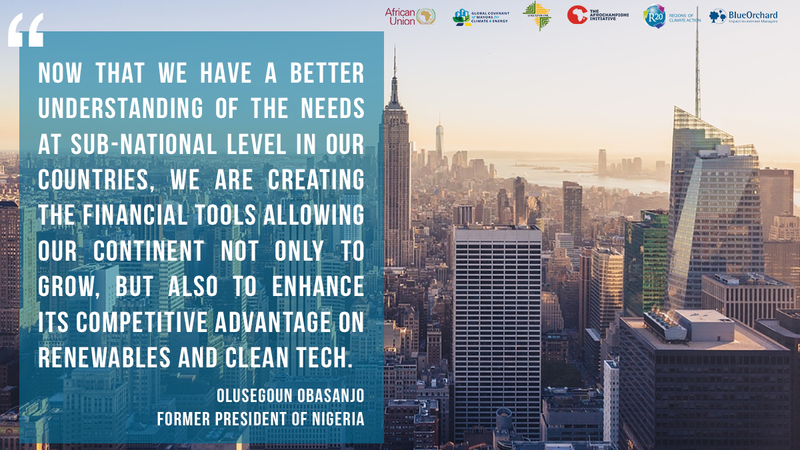 It stands out as an international platform for commitments and projects that make a difference on climate change action. A commitment from the World Bank Group to invest $1 billion to accelerate the deployment of battery storage in developing countries. A proposition from the European Commission to dedicate 25% of the next European Union budget (2021 – 2027), i.e EUR 320 billion, to climate objectives as well as financial support for sustainable investment through the “InvestEU” programme, which is expected to leverage more than EUR 150 billion. The launch of the joint Pacific Initiative for Biodiversity, Climate Change and Resilience by the European Union, France and New Zealand with an initial amount of EUR 20 million. An announcement from Michael Bloomberg to help convene a Wall Street Network on Sustainable Finance to encourage more climate-friendly and sustainable finance innovation across the U.S capital markets.